With these bench top shapes I recommend supporting them on stainless steel legs attached to their undersides and embedded in concrete blocks below ground level. Stainless steel tubing is maintenance free, strong and attractive. All edges, corners and ends are rounded for safety. The wood is a softwood and while not ‘soft’ to fall on or against, is more ‘forgiving’ on collision than steel or hardwood would be. Final designs need to be approved by a structural engineer and or a playground consultant. Many of my works are permanently outdoors in parks, school yards and campuses and endure constant use in often the harshest of locations. They are low on maintenance, requiring touch up to the varnish and surface every 3 years or as needed. and it makes sense to use materials that are affordable and readily available. The varnish is ultra violet resistant, is tinted with various coloured stains, and is water based. The product brand Intergrain Naturalstain is designed to endure foot traffic as a decking finish. Scratches, graffiti and wear and tear can be easily touched up with a new coat brushed over. 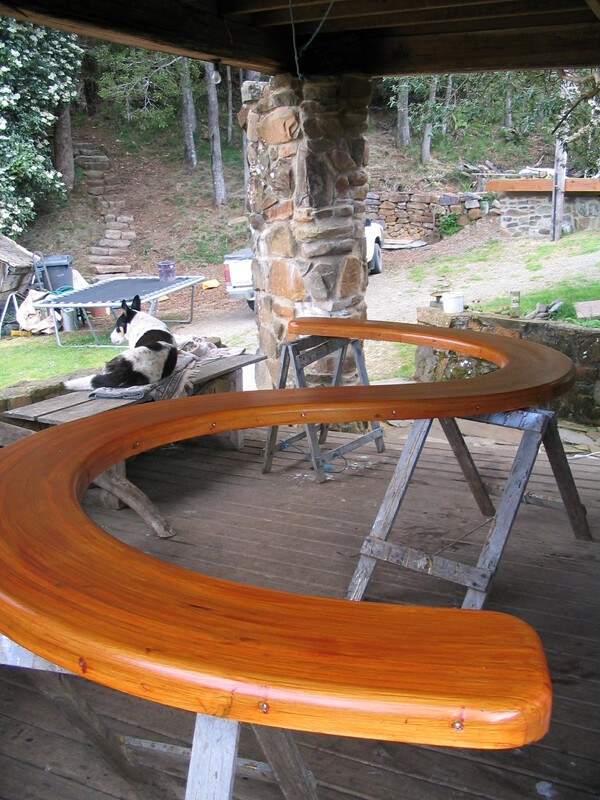 Lengths of timber are pulled into the desired curved shape with a waterproof glue between them. When the glue sets the many pieces become one. Many galvanised metal screws are hidden beneath the surface to insure against movement. Benches are usually 90mm thick, 300-900mm wide and various lengths, say from 3 to 20metres long. 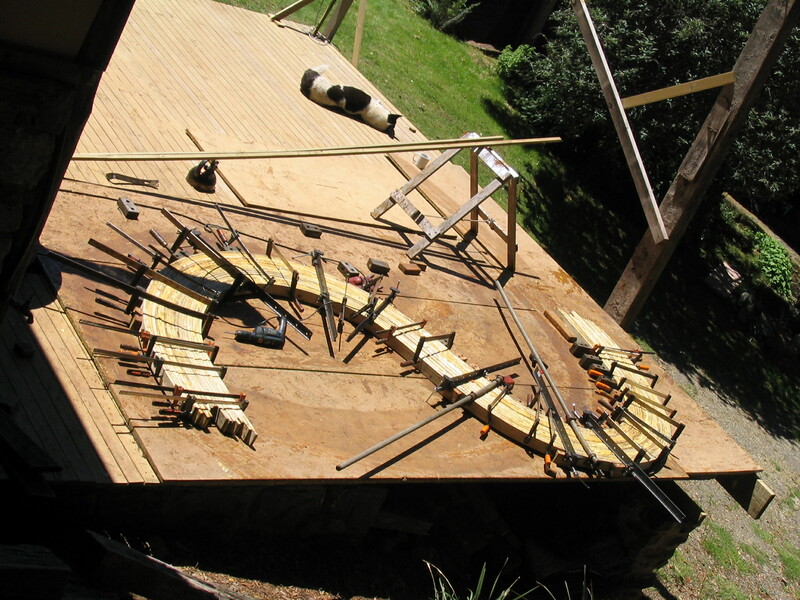 Many larger diameter curves can be made without the need to use steam heating, but smaller diameter curves need to be steam heated to make the timber pliable and to prevent it from snapping.